Working in marketing was interesting, but it was a desert. Every day I was thirsty for the challenge of writing, but I had never met a freelance writer. Freelance writing was a mirage. Many people discouraged the career because of the lonely and starving penniless writer misconception. Yes, if a devoted individual says they are quitting their day job to write a novel, I’d be worried for them. 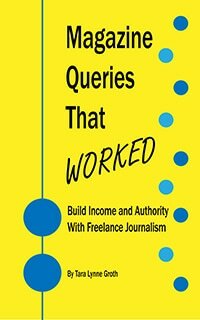 The only way living as a freelance writer is possible is to think of it as fee-lance writing. If it’s not making money, don’t write it. Read more. That’s how I found you! Did they pay you? I am a little frustrated with Contently’s platform, but am getting used to it. Congrats! Willi, I’m glad we connected this way! I have not received payment yet – how about you? I’m uncertain what the standard pay schedule is on their end. I didn’t know they paid at all? ! I was thinking of querying them. Did you contact John? Michael had contacted me about the guest post and I did correspond with John regarding my account setup – a few bugs in the process prevented me from starting an account on my own.